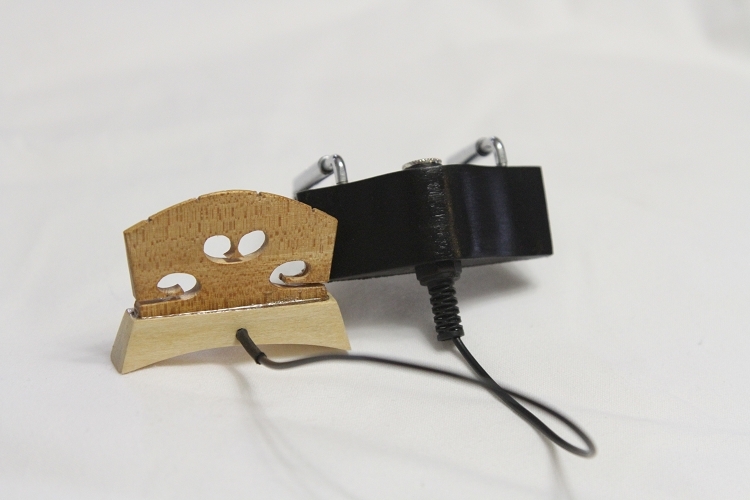 The Cadillac Violin Pickup by Spring Creek Electronics Many have said the Cadillac Pickup is the best violin pickup at any price. You will hear with crystal clarity each individual string from the big G to the little E. The Cadillac Pickup provides you professional tone quality. No other violin pickup offers you comparable individual string separation and clear transparency that you can find in the Cadillac Pickup. The Cadillac Pickup has amazing volume output. You do not need a the Spring Creek Electronics Pro Violin Pre Amp, but if you add the pre amp it will further enhance your violin's tone and give you greater signal input from your violin to the amplifier. The Cadillac Pickup produces wonderful frequency spectrum that you can definitely hear. The Cadillac Pickup provides you the professional tone you have always wanted. You can install the Cadillac Pickup yourself or have a professional luthier fit it to your violin. Copyright Sill Music Supply. All Rights Reserved. eCommerce Software by 3dcart.